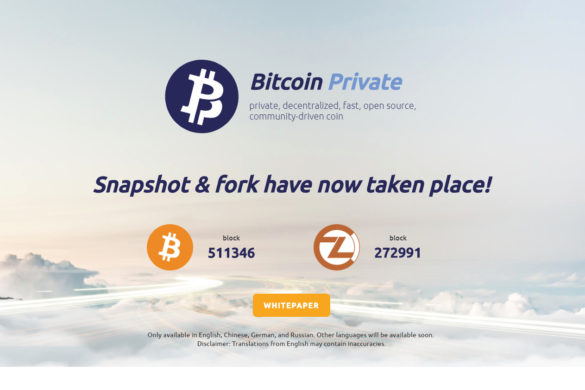 A free and open-source platform built on a fork of Bitcoin, Ravencoin was developed as a blockchain and platform for the free peer-to-peer transfer of assets. 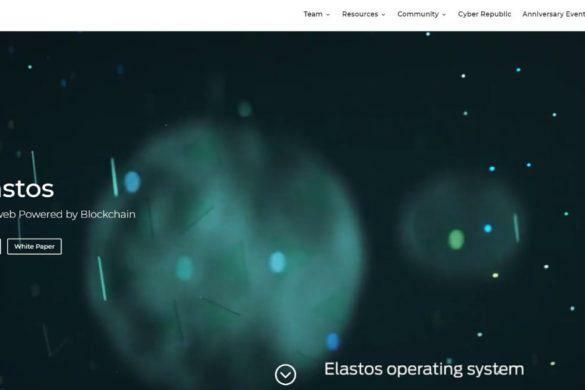 Launched on January 3, 2018, the coin is both mineable yet ASIC resistant, with a messaging and voting system embedded into its platform for those who hold tokens. The name Ravencoin was given to the coin with the idea that ravens represent the delivery of truth in the fictional world of Westeros, written in a book by George R. Martin. So too, Ravencoin’s mission is to deliver statements of truth in terms of which individuals own what assets. The authors of the white paper are Bruce Fenton, former adviser to the Bill and Melinda Gates Foundation and founder of the Dubai Bitcoin Conference, and Tron Black, former principal software develop for Medici Ventures. The CEO of Overstock invested millions into the development of Ravencoin, bringing into public awareness as a more energy-efficient version of Bitcoin. At the end of 2018, Medici Ventures successfully made a digital securities token transfer on the Ravencoin platform. “Ravencoin is an ideal protocol and chain to use for this security token. The aim of Ravencoin is to do one thing and do it well: help users issue tokens and digital assets securely. Tokens, particularly securities tokens, are a promising area for blockchain technology,” explained Fenton to Forbes. One of the disadvantages of Bitcoin is that a Bitcoin holder can accidentally send Bitcoin to another party and lose the asset. The solution was to develop a bitcoin-like system that is fully aware: Ravencoin, which enables issuing, tracking, and transfer of assets. The coin was not allocated to any groups or individuals and can be freely mined. Ravencoin started trading at $0.026 in early March of 2018. By the end of March, it had risen to $0.06. It rose again briefly in May before trending downward until the end of October. By the end of October 2018, the price of Ravencoin rose to an all-time high of $0.05. A fork of Bitcoin, Ravencoin’s core differences include a new mining algorithm, X16R, that enables decentralized mining, a block reward of 5,000 RVN rather than 50 BTC, a shorter block time (1 minute compared to 10), and a total coin supply of 21 billion rather than 21 million. In the future, Ravencoin will add the ability to create unique assets, sub-assets, rewards, messaging and voting to its platform. Tokens on the Ravencoin blockchain can be freely transferred from one person to another on the platform. Assets can represent almost anything, including physical real-world assets, a share of a project, virtual goods, or a credit. Physical assets Gold bars, silver coins, Euros, energy credits, land deeds or even valuable collector’s items. Virtual goods Tickets to a sports event that can be resold, licenses for specific activities, a token that enables use of a service, in-game currency and items that can be used outside of the game environment. Share of a project Securities tokens, partnership interests, tokens that represent coops or partnerships, tokens that represent a crowd-funded item that can be resold. 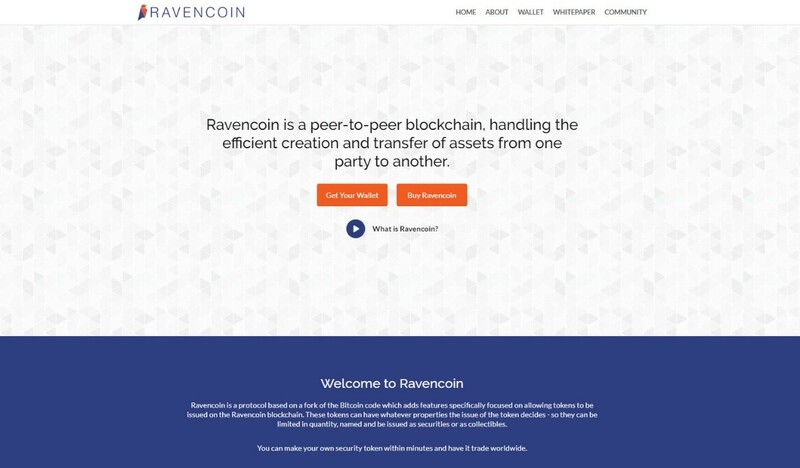 In addition, assets can be created on the Ravencoin blockchain. Assets created on the Ravencoins blockchain have several advantages, including: being easier to use, well-integrated with a native coin, and are secured with Proof-of-Work mining and open source code. Binance is the main option for purchasing Ravencoin, as well as the exchange where it has the highest volume of trading at over $850K. 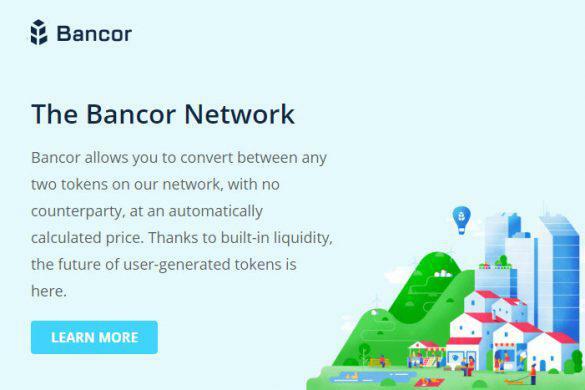 It is available for purchasing with BTC and BNB. 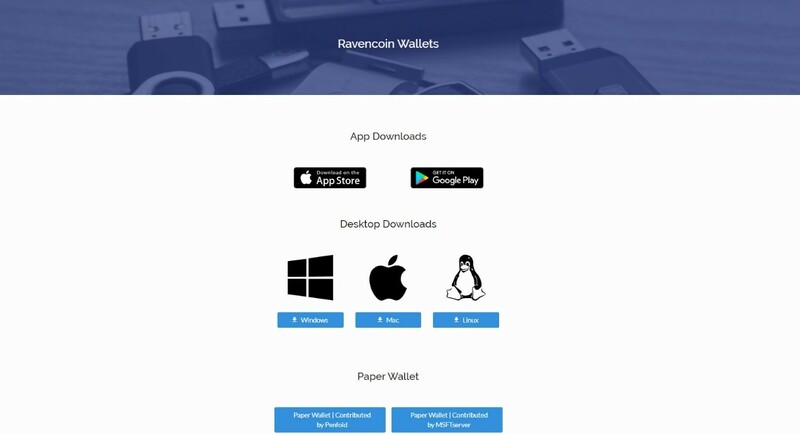 Ravencoin has its own official desktop wallet, Ravencoin Wallet, which is the most available for download from the Ravencoin website and supported by Windows, MacOSX and Linux. Paper wallets are also available. Several members of the community have contributed paper wallets that are also available on the website. Ravencoin Android Wallet and Ravencoin iOS Wallet are also available from the Ravencoin website. Currently there is no hardware wallet support for Ravencoin, but there are unofficial rumors that it will be added to Ledger Nano S soon. You can vote for support on the Ledger roadmap on Trello. In the meantime, the Ravencoin community has completed support for both the the Ledger and Electrum hardware wallet on its platform. You can download the Ledger software and Electrum binaries from the Ravencoin website. Ravencoin can be earned by mining. The first step is to download a wallet and opensource mining software. There is an extensive wiki available to guide you through the mining of Ravencoin. Similar to Bitcoin, the coin is halved every 4 years, with half of Ravencoins to be mined over the next 4 years and another quarter the next 4 years. After that, it will be cut into eighths. The idea is that is will continue to be mined over the next 120 years. Ravencoin development is completed as a fork of Bitcoin and coins are distributed on its platform. Rewards will be available to asset holders in RVN. The ability to create unique assets will be available. 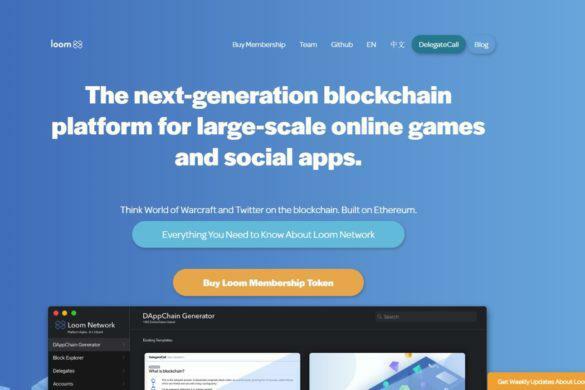 Includes ability to message other token holders. Tokens will be available to record votes. Unique assets will be easily integrated into exchanges and wallets and adapted into the larger crypto ecosystem.